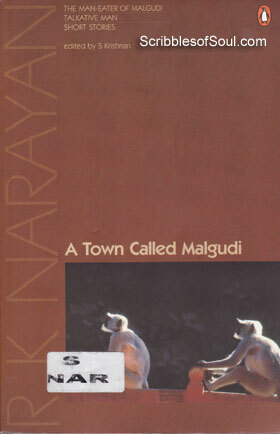 When I had read Guide, I was a bit disappointed with the ambiguous end, but as I begun the short story, Nitya by R.K. Narayan, I was pleasantly surprised by the vagueness of the title. Till I actually began reading the story, I was under impression that it is the story of a girl named Nitya, or the author has played on the meaning of the Hindi word, ‘nitya’ meaning ‘everyday or daily’, to perhaps tell a story of common occurrence. But, as I finished the story, I found both my assumptions were way off the mark. Neither is this story a common place one nor is the protagonist a female. Rather, Nitya is a boy of 20 years, who is soon going to lose his rich crop of hair, courtesy his parents’ demand to cut it off to please their family goddess. The story has a pledge as the background. When Nitya was two years old, he had fatal whooping cough, and at that time, his parents offered to shave his head as a vow. But, once their family deity granted their wish, they forgot all about it. The story begins some eighteen years after the promise was made, when Nitya has grown up into a handsome, creative and free spirited unbeliever, who is way too conscious of his curly, fashionable hair to sacrifice them at the altar of his parents’ sudden religiousness! But, his parents despite their momentary oversight are actually quite God fearing, and are adamant on fulfilling the promise lest the Goddess gets angry. But, would Nitya be ready to give away what he values the most, forms the basic plot of the story. The issue of pact and fulfillment of vow is dealt by Narayan in the most comical manner. As in Seventh House, he portrayed a man who was ready to believe in half-baked solutions of an Astrologer to please an angry Mars, here, in Nitya, he paints the true human psyche of fear being mightier than faith. We, mortals are quite selfish. The give-and-take tendency is so deeply etched on human mind, that we do not shy away from making false promises to even God. But, once the divine help has arrived, we forget about it all till we are in a scoop once again. But, despite being a serious satire on the hollow righteousness of the so called religious people, the story is written in a humorous vein that brought a smile on my lips. The priest’s convincing antics, the importance of a barber on such an auspicious occasion, and the extra respect lavished on Nitya’s father for being a trustee, who himself could not fulfill the vow timely, added to the sarcasm. The story exposed the double minded approach, as far as religious rites are concerned which are often twisted by heresy to suit comforts and convenience of rich people. However, I found the end to be slightly abrupt, leaving me wishing for more. I remember reading a similar story in Rohinton Mistry’s Tales from Firozsha Baag as well. Though, the subject was, in quintessential Mistry style much more glamorized with the inclusion of love and fake babas. All in all, another good satire from the mighty pen of Narayan.